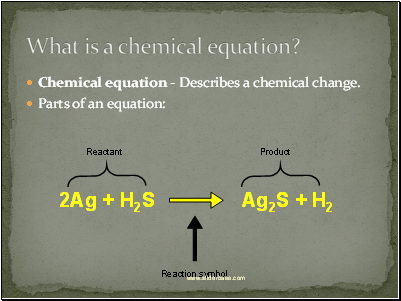 Chemical equation - Describes a chemical change. 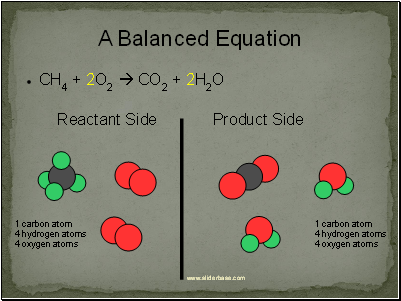 Reactant - The chemical(s) you start with before the reaction. Written on left side of equation. 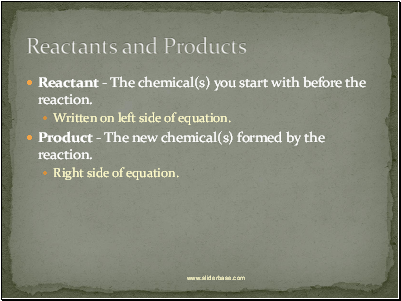 Product - The new chemical(s) formed by the reaction. Subscript - shows how many atoms of an element are in a molecule. 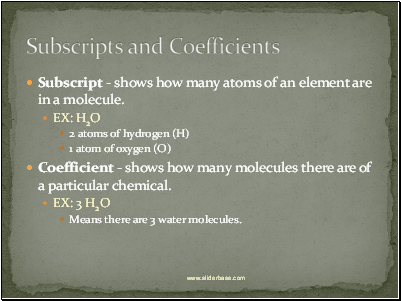 Coefficient - shows how many molecules there are of a particular chemical. Means there are 3 water molecules. In a chem. 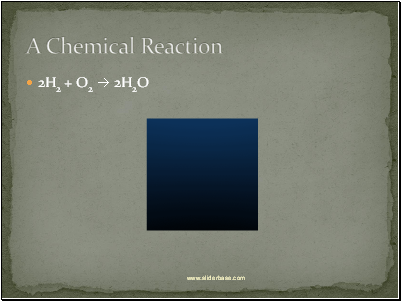 rxn, matter is neither created nor destroyed. In other words, the number and type of atoms going INTO a rxn must be the same as the number and type of atoms coming OUT. 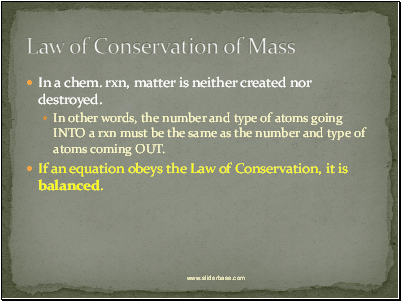 If an equation obeys the Law of Conservation, it is balanced. 1. Matter cannot be created or destroyed. 2. Subscripts cannot be added, removed, or changed. 3. You can only change coefficients. 4. Coefficients can only go in front of chem. formulas .NEVER in the middle of a formula. 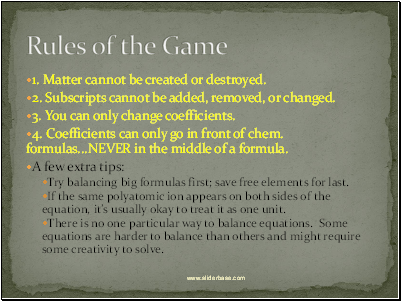 Try balancing big formulas first; save free elements for last. 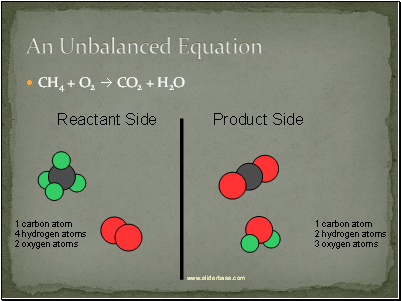 If the same polyatomic ion appears on both sides of the equation, it’s usually okay to treat it as one unit. 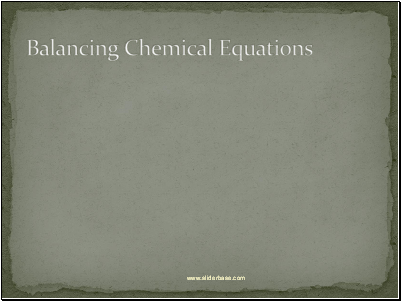 There is no one particular way to balance equations. Some equations are harder to balance than others and might require some creativity to solve.